DC’s resident Atlantean gets his first full movie, but does Aquaman end up sinking or swimming when thrown in at the deep end? It speaks volumes of the current landscape of blockbusters, that a film like Aquaman can be made and distributed with so much confidence in the end product. While certain overzealous fanboys, fangirls and fan-non-binaries on the DC side of the comic divide will scoff at the thought, there’s a lot of credit due to Marvel’s run of films for Aquaman‘s existence. After the disaster of Justice League, Warner Bros. didn’t have a whole lot to salvage – let’s be honest, nobody came out of that film well. Inexplicably though, the character that came out of it the least scathed was Jason Momoa’s Aquaman; given that his solo film was already well into production by the time Justice League came out, that was probably a sizeable sigh of relief for DC. That said, there wasn’t a huge amount to go on from Momoa’s performance in the team-up last year: aside from the generic dudebro take on Arthur Curry, he didn’t get much time or opportunity to develop in any meaningful way. It’s no real surprise then, that the first film entirely devoted to Atlantis’ favourite son decided to compensate for that by throwing everything into this movie. From beginning to end, Aquaman shamelessly embraces everything that makes the hero a joke to many; talking to fish, super-fast swimming and a predilection for tridents feature heavily here. 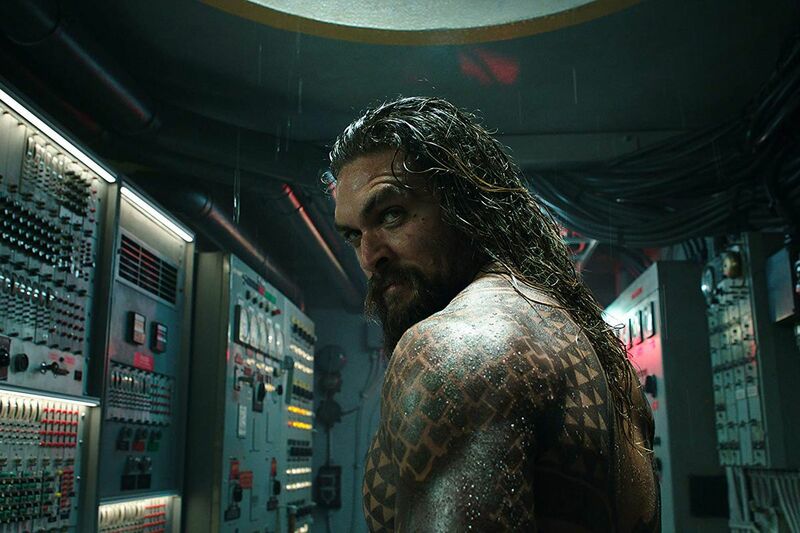 It would have been easy for the filmmakers to go the postmodern Disney route and crack wise about all of Aquaman’s foibles and bizarre heritage, but director James Wan is having none of that – he’s made an Aquaman movie on his own terms, whether anyone likes it or not. As a result, Aquaman is absolutely nuts, often incoherent and overstuffed with clunky dialogue and wooden performances. I cannot state it clearly enough: Aquaman is a terrible, terrible film, that makes absolutely no sense and everyone in it is either eye-swivelling overacting or more wooden than the sunken-ship-hiding-place at the bottom of Atlantis. The best thing about Aquaman is just how unafraid it is of its audience laughing at it. 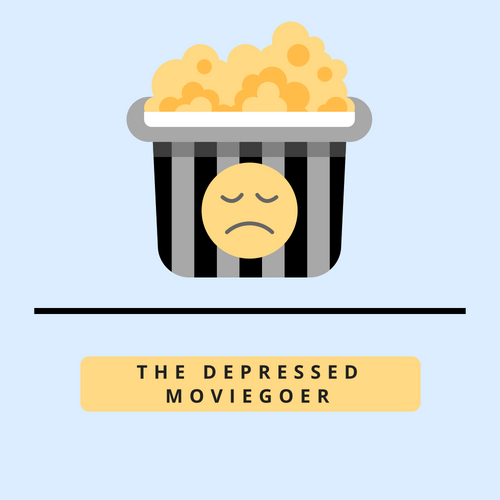 At times it feels like the film is laughing along with you. That can be pretty much summed up in one song that features here: a Pitbull rap including a cover of Toto’s Africa as Aquaman and Mera, The Female Character, fly over the Sahara in one of the film’s half-dozen subplots. It really needs to be heard to be believed. A quest for a mythical trident that just so happens to be guarded by a kraken voiced by Mary Poppins. Also the story of a plucky young octopus drummer that gets its big break performing at a fight to the death. I really can’t get past the octopus drummer. Throughout all of this, Jason Momoa gives a performance that would have been passable in a dumb ’80s action movie. The man has his fans – and I’m one of them – but bless him he cannot act. There’s a reason he was at his best as Khal Drogo in Game of Thrones, and it wasn’t his uncanny ability to act everyone else off screen. Clearly Wan was aware of this slight issue too, and so enlisted a heap of estimable actors to do the heavy lifting: Patrick Wilson, Nicole Kidman, Willem Dafoe, Temuera Morrison, and of course Julie Andrews. Even in her small role she dominates the scene she shares with Momoa, and only he was on screen for its duration. Despite his lack of acting prowess though, it’s impossible to dislike Jason Momoa. His portrayal of Aquaman this time around has evolved slightly from the surfer bro meathead of Justice League, and while he doesn’t convey any particular nuances in his performance, he did enough for me to buy Arthur’s development in the film as Aquaman embraces his destiny to be a hero of Atlantis and for everyone up on the land. Speaking of Atlantis, one of the legitimately good things about Aquaman is in the film’s underwater aesthetic. The different undersea kingdoms feel lived-in and believable enough to be a reliable anchor for the film’s more nonsensical goings-on. Whoever worked in the art department of that film should be very proud, because Aquaman, for all of its many, many faults is a visual delight. Whether this is a film that holds up to a repeat viewing remains to be seen, but I fear that after the first time, Aquaman‘s appeal is likely lost after the initial shock. If this is the template for DC’s films going forward though, there’s no doubt that we’re in for an entertaining run of superhero movies. Now all that Warners need to do is make the films, well, good. Had a good time with this one. Nice review.